The Aeon Festival is back for the fifth year, and takes place over three days on the August Bank Holiday from Friday 27th to Sunday 29th August, again at Shobrooke Park Estate, Crediton, Devon. The line-up includes Melosa, Evi Vine, Spiro, The Roots Union, Acoustic Ladyland, Doll & The Kicks, The Jawbone Band, Le Chat Noir, Lucy Ward, Polar Bear, Trouble & Mischief, Victoria Hume, Alison Brumfitt, Dizraeli, Jiggerypipery, Maybe Myrtle Tyrtle, Saffron Monkey, and many more. For the line-up details as available please click here. A full weekend adult ticket will be priced at £60, a youth ticket (for those aged 13 - 16 years) are priced at £45. This age group must be accompanied by a weekend ticket holding adult over 18. Under 13s can attend for free! All children must be accompanied by a ticket holding adult/parent over the age of 18. All ages to be correct at the start date of the festival not from the booking date! Day tickets will be priced at £25. You will not be able to camp with a day ticket. The theme for 2010 is Global Safari - The Big Adventure, and the Magic Wardrobe is expected to be on-site to help with your fancy dress needs. The festival has four stages. The Main Stage is outdoors by a lake, and will feature live bands from orchestras, folk and salsa to punk, ska, indie, electronica and more. The dance tent will have d'n'b, breakbeat, techno, reggae and more complete with visuals. The bar area has comedy, poetry, jazz bands and DJs as well as the normal bar drinks. The Cinema Tent (daily) will have animations, short films, documentaries and more. There's also workshops and circus skills, crafts, open-mic, food, and markets.  The festival organisers are hoping for a "laid back bohemian feel to the event, in the spirit of all the original festivals before commercialism prevailed." Aeon Festival 2010 will be hosting the Sports Day to end all Sports Days with fun and games including Wheel Barrow Race, 4 Legged Stumble, Free Range Egg & Wooden Spoon, Long Distance Charge, All Fours Horse Scramble, Orange Shot Putt, Frisbee Discus, Backwards Running, something involving lots of water balloons, Sleeping Bag Sack Dashm Hidden Treasure Hunt, The Dizzy Dizzy Spin n' Run and more. Held this year on the Saturday, 1pm - 7's & under; 2pm - 12's & under; 3pm - Adults & Teenagers. There will be plenty of prizes to be won, sweets n treats for the kids & beer tokens for the adults. And medals. The festival area is a short walk from the main campsite. The ground is fairly level but better access and parking for disabled festival goers can be arranged in advance. Camp fires will not be allowed on the main site or by tents but there will be a designated fire pit in the camping field for those who wish to stay up late. There will be 24hr security on both the main site and in the camping field as well as plenty of toilets. Woodcraft Workshops, Chango Music + Drumming Workshops, Yoga, Tai Chi, George Lazenbleeps Circuit Bending Workshops, Circus Skills Workshops, Capoeira, Graffiti Workshops, Fortune Teller And Street, The Busy Being Parent And Toddler Group, Farmer Gheddon Aka Big Daddy Runtings Pub Quiz, Alice Deuchars 1940s Retro Photo Shoot, Aeon All Stars Cricket Team (Sunday 1300-1600 Hours), Cheriton Ceramics (Pottery Painting), Puppet Tree with Punch & Judy Puppet Show and Balloon Modelling, Open Mic, And Grace's Team Of Nonsense Crew with bubble wrap rolling, glitter paddling, pool wrestling, sports wars, and more. Teenage Cancer trust is the main charity this year. All guests of artists have been asked to donate up to a fiver towards this worthwhile cause as well. There will be more information here once it is available.